The institution now known as The Language Training and Testing Center (LTTC) was first established in 1951 to provide intensive training in English for government-sponsored personnel preparing to go to the United States under technical assistance programs in place at that time. In 1965, the LTTC began to offer courses in Japanese, French, German, and Spanish, and it has since extended its services to personnel sponsored by private organizations and to the general public. That year also saw the inception of the first foreign language proficiency test developed by the LTTC, the FLPT. Since 1986, the LTTC has been registered with the Ministry of Education as a non-profit educational foundation under a remit to meet the needs of social and economic development with constant commitment in its areas of specialization. In addition to being a certified language institution for training government officials, the LTTC has also been awarded Taiwan TrainQuali System (TTQS) certification, ensuring its continual improvement in the quality of teaching, research, and services provided. Furthermore, to continue enhancing the overall quality of its services, and to meet its goal of increasing the international recognition of this institution, the LTTC adopted the ISO 9001 Quality Management System standard in December 2012. On April 23, 2013, the LTTC became the first language teaching and testing institution in Taiwan to be awarded the ISO 9001:2008 certification. 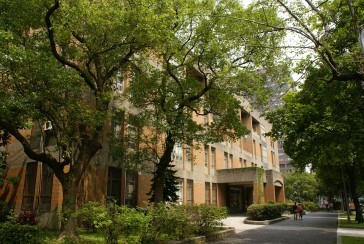 The LTTC is under the supervision of a Board of Directors, with the President of National Taiwan University presiding as Chair. Other members include representatives from National Taiwan University, National Development Council, the Ministry of Education, the Ministry of Economic Affairs, the Ministry of Foreign Affairs, and the Foundation for Scholarly Exchange. An Executive Director is appointed by the Board to supervise the daily operations of the Center. 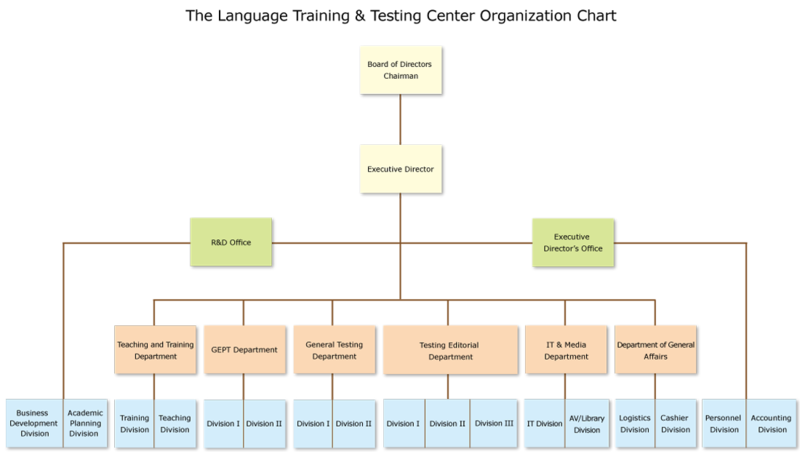 Under the Executive Director are the R&D Office and six departments in charge of different services: the Teaching & Training Department, the GEPT Department, the General Testing Department, the Testing Editorial Department, the IT & Media Department, and the Department of General Affairs.